A vast amount of literature, art and research has been produced which discusses the concepts of self and identity, both public and private. Philosophers, psychologists, and poets have filled our intellectual coffers with densely complex discussions of Self and Identity, what defines them, and what drives our need to understand them. It’s certainly no accident, that one of the most beloved and enduring classics of American literature is entitled “Song of Myself”. A cursory Google search on “self” will produce about 298,000,000 results, including 3,940,000 scholarly works and many millions more web pages. Googling “identity” returns 94,400,000 records, many of which include “self” content. As you read this, the numbers are likely out of date, for the search for Self and Identity continues, complete with documentation. Being human, I’m no exception to the rule that we all tend to ask “Who am I?” and wonder about our place in the world. Like many other poets, philosophers, and scientists, I have been on a lifelong investigation of what the Identity is, and what place the Self has in private and in wider society. I’ve been knocking around on the planet for nearly 50 years, as of this writing, and I began seriously exploring this question as a kid. I entered public school when busing was just starting, and the 1960s legacy of individual freedom was getting a foothold in the mainstream beyond the scope of student protests. Members of my family lost their jobs because they spoke out about the Viet Nam war, and with integration tossing a whole lot of five-year-olds from disparate races and backgrounds into the same classrooms each day – sometimes resulting in violent clashes of conflicting identities – the question of Who Are We? and What Are We Doing Here? has been front and center in my life for 45+ years. On top of this legacy of lifelong public questioning, I’ve had plenty of reason to ask Who Am I? privately, over the past ten years. 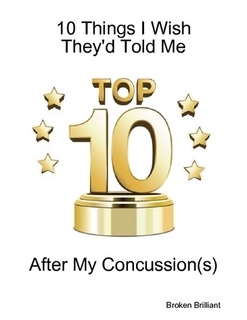 In the course of my eventful live, I’ve sustained a number of concussions – mild traumatic brain injuries, if you want to get technical about it – and after my last brain injury in 2004, I found my Sense of Self disintegrating. In a surprisingly short period of time, my sense of who I was and where I belonged in the world alternately eroded, exploded, and imploded, thanks to the cumulative effects of getting hit on the head. A progression of breakdowns in internal and external processes left me feeling cut loose, adrift, and feeling completely isolated both from others and myself. In my own exploration of the subject, I have discovered one recurring theme : there is way too much material out there for me to ever familiarize myself – even cursorily – with the intellectual heritage of human self-knowledge. I may scratch the surface to find out what Plato or Hegel or Foucault had to say, but my time, energy, leisure, and connections with people who delight in considering what they had to say, are all far too limited to do more than that – scratch. An inquiry into the nature of Self – or, in this instance, the experience of one’s Sense Of Self – deserves more than a scratch. Because it’s more than an itch. For the billions of souls who have called this planet home over the millennia, Who Am I has been central to their being at at least some point in their lives. Among the 1.7 million Americans who experience traumatic brain injury (75%-90% of them classed as mild TBIs or concussion) on an annual basis — and millions more injured worldwide each year — many of them lose a Sense Of Self either temporarily or seemingly permanently. “Who Am I Now?” and “What Am I Good For?” are vitally important questions that need to be understood, even if they are never adequately answered. This may be just as true of those who suffer catastrophic illnesses, who lose limbs and experience other significant losses. Jobs, primary relationships, homes, social standing… these often disappear abruptly and without warning, leaving individuals wondering who they are and where they belong. For TBI survivors (myself among them), the question is central not only to the post-acute rehabilitation phase, but continues long after the dust has settled. We “look fine” and everyone expects us to get back to work and life, the same as it ever was. But something has changed. We have changed. Learning to find our place again, learning to “fit” in new ways, becomes an ongoing theme in our reconstructed lives, even as the rest of the world gets back to work and waits for us to catch up. Disrupted Sense-Of-Self is a nearly universal theme in the recoveries of TBI survivors. And more has been written about the subject than I can probably ever hope to read or deeply consider. There’s a lot of good that’s been done, a lot of insight that’s been explored by highly educated experts in the field. So, why do I want to write yet another work about Sense-Of-Self and TBI? What have I got to offer, from my somewhat pedestrian viewpoint, without the benefit of the latest research and theories? Well, for me, it’s something with which I have plenty of direct experience. Having had more than eight consciousness-altering events in my life – falls, blows to the head, motor vehicle accidents – each of which altered my sense of who I was in subtle but long-lasting ways, I know all too well the constant sense of not really knowing who I am, and failing to recognize my “self” in even the most customary, mundane experiences. I know what it’s like to get up in the morning and look at myself in the mirror, and see someone other than who I was expecting. I know what it’s like to feel like I’m watching myself from a distance as “I” say and do things I had not intended to say or do, and then I have to scramble to cover my tracks or make up for unintentional infractions. I’ve been a stranger in the strange land called “everyday life” for a long time. It’s been over 40 years, since my first TBI, and now, ten years after my most recent injury – a fall down some stairs that really “scrambled my eggs” and brought me to the brink of financial, professional, and social ruin – something remarkable has recently happened to me. Calling this a minor miracle is not hyperbole. Considering my state of mind and estrangement from the person once I knew as “myself”, I figured till fairly recently that the “old me” was gone for good. After all, it had been years since I’d seen or felt any sign of that old me, and I figured it was best to just let them go. But somehow, some way, that estranging process has reverse, and not only do I feel like the Old Me again in important ways, but I also feel a vitality and a depth to that Me – that Sense Of Myself – which was never really present before. It’s a heady feeling. Emotional. And I get a bit choked up when I really let it all sink in. The one I thought I’d lost forever, is found. And they’re bringing new friends to the party. This work is intended to share what I’ve learned from my own journey and process, in hopes of helping others in theirs. Whether you’re a TBI survivor, a supporter, a clinician, a rehab professional, or someone who just wants to dig into Sense Of Self, I hope you find this work beneficial. I can’t make any promises about whether my approach will work for others – or even that their experience matches mine. I really want this work to get people thinking – outside the established halls of academically approved theories. Some of what I say may not jive with peer-reviewed research results, and some may contradict recognized standards of the day. This is simply my experience, recounted as best I can. It’s my sincere hope that this may help relieve at least some of the suffering that so many experience, staring into the void of the Self they used to know so well, wondering what the hell happened, and if they’ll ever see them again.